So much better than take out! 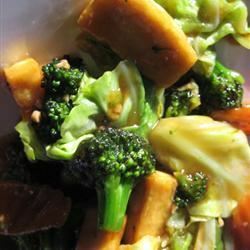 Use however much or little broccoli you like! 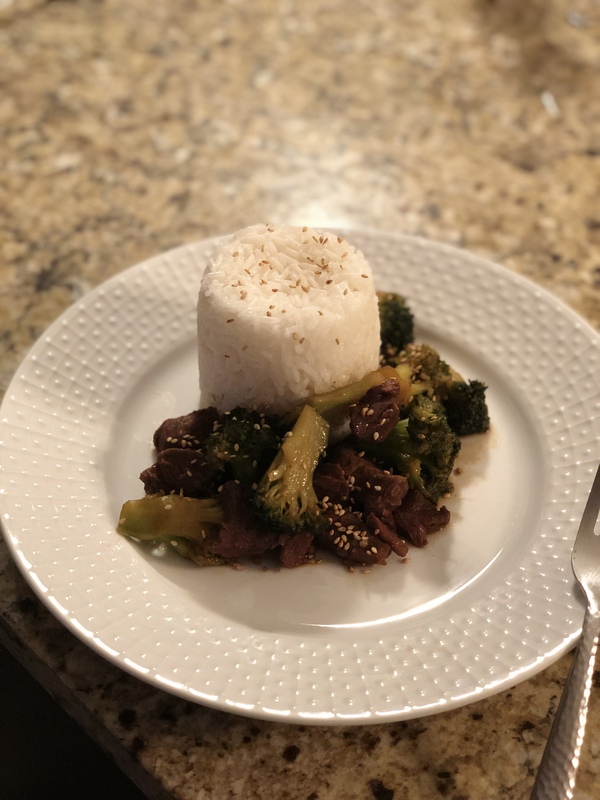 Crumble beef bouillon cube into warm water in a bowl and stir to dissolve; add soy sauce, brown sugar, garlic, and sesame oil and stir to dissolve sugar. 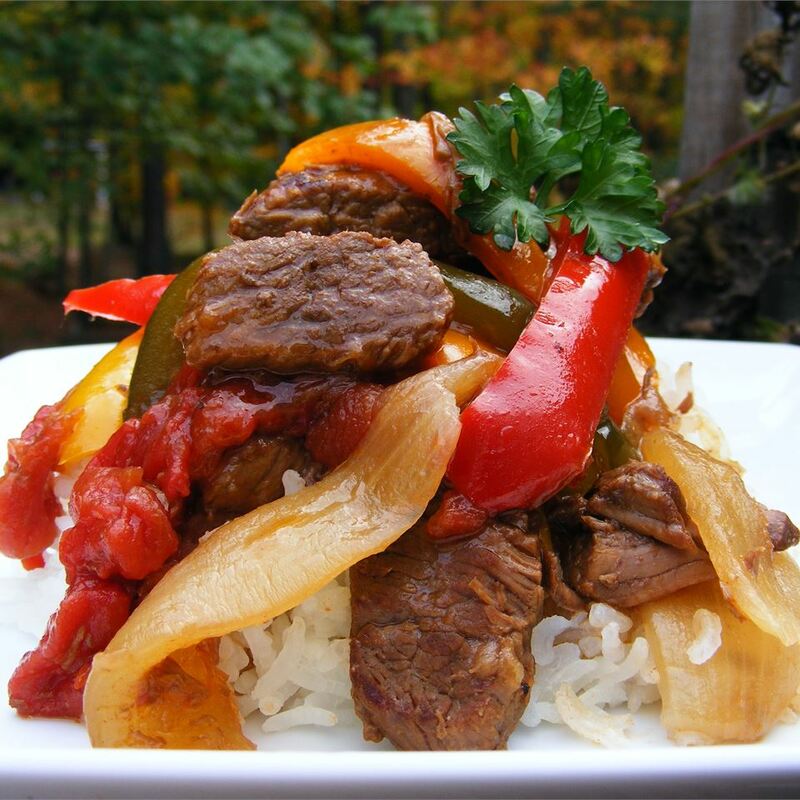 Put beef strips into a slow cooker crock. Pour sauce mixture over the beef. Cook on Low for 6 to 8 hours (or on High for 4 hours). Spoon 2 tablespoons liquid from the slow cooker into a bowl. Whisk cornstarch into the liquid and stir the cornstarch mixture into the liquid in the slow cooker until consistent in color. Cook on High until the sauce thickens, about 30 minutes. Place a steamer insert into a saucepan and fill with water to just below the bottom of the steamer. Bring water to a boil. 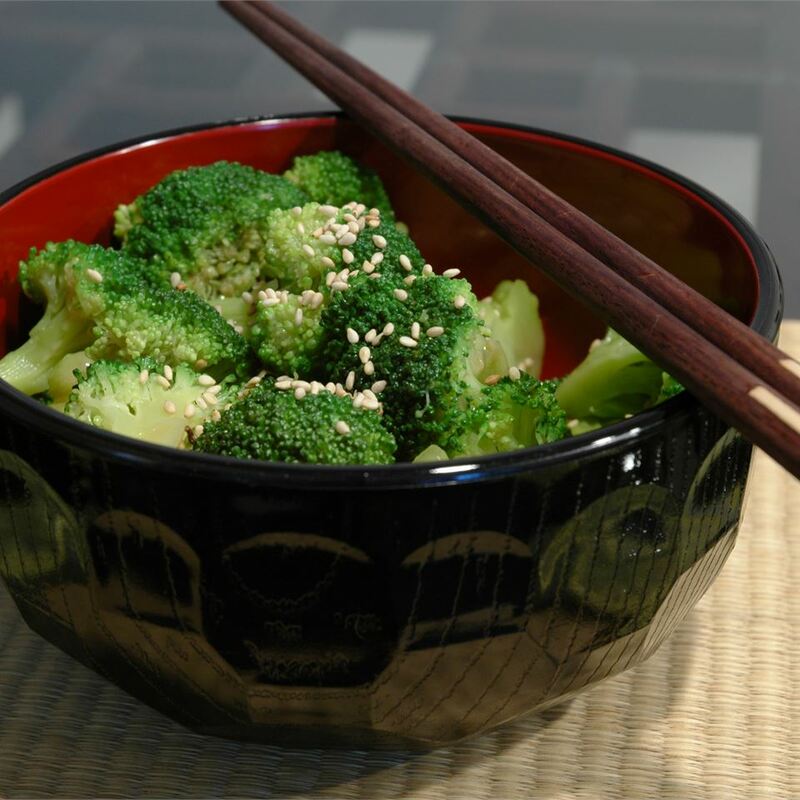 Cook broccoli in covered steamer until tender, 2 to 6 minutes; add to sauce in slow cooker and stir to coat. 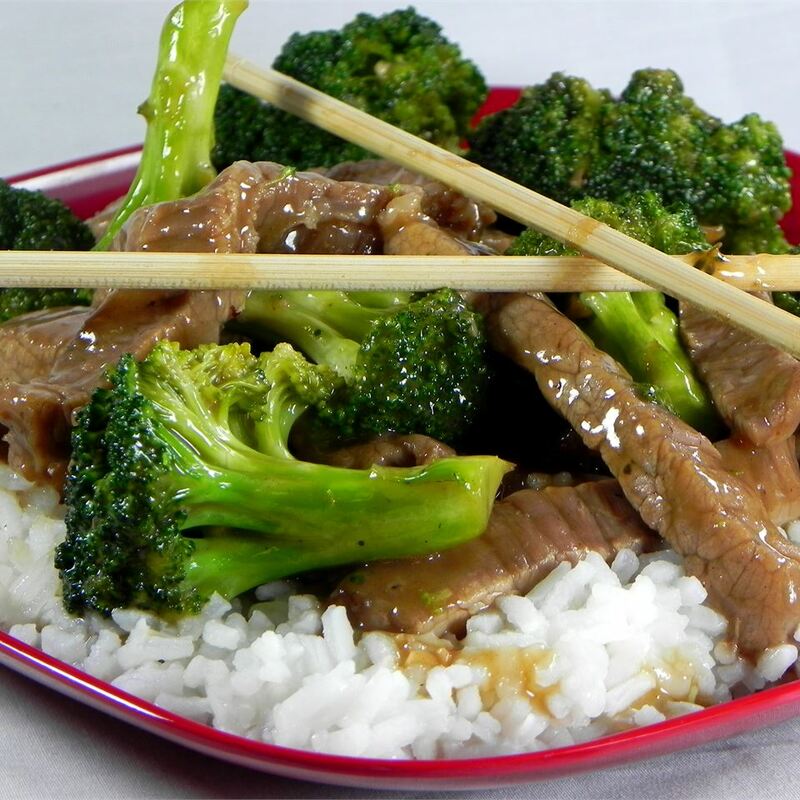 Ladle broccoli beef over portions of cooked jasmine rice and garnish with sesame seeds. 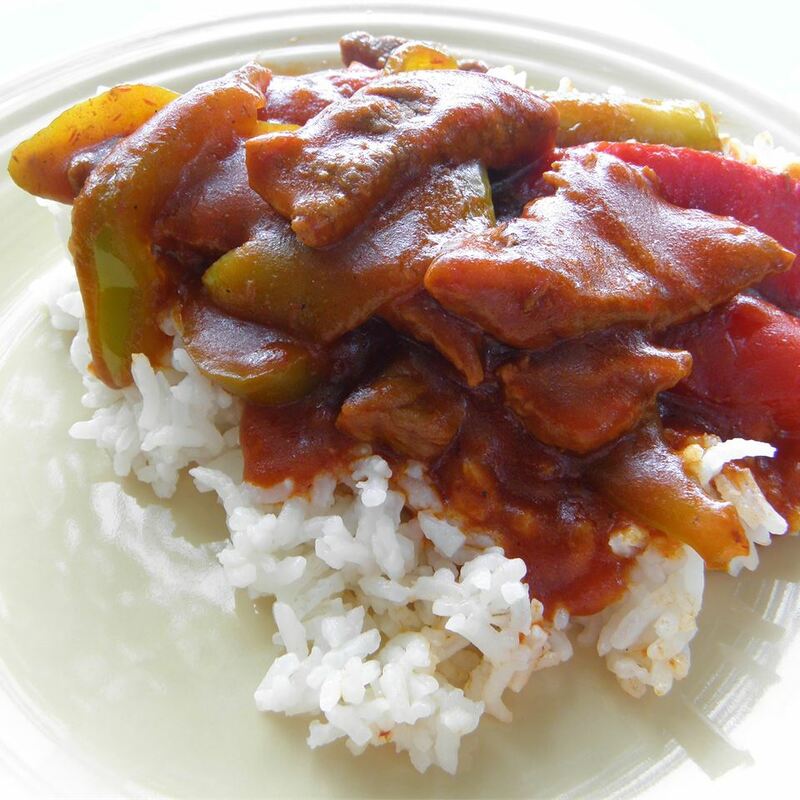 If sauce isn't thickening, it can be ladled out and cooked on a stove until reaching the desired thickness. Then return it to the slow cooker. 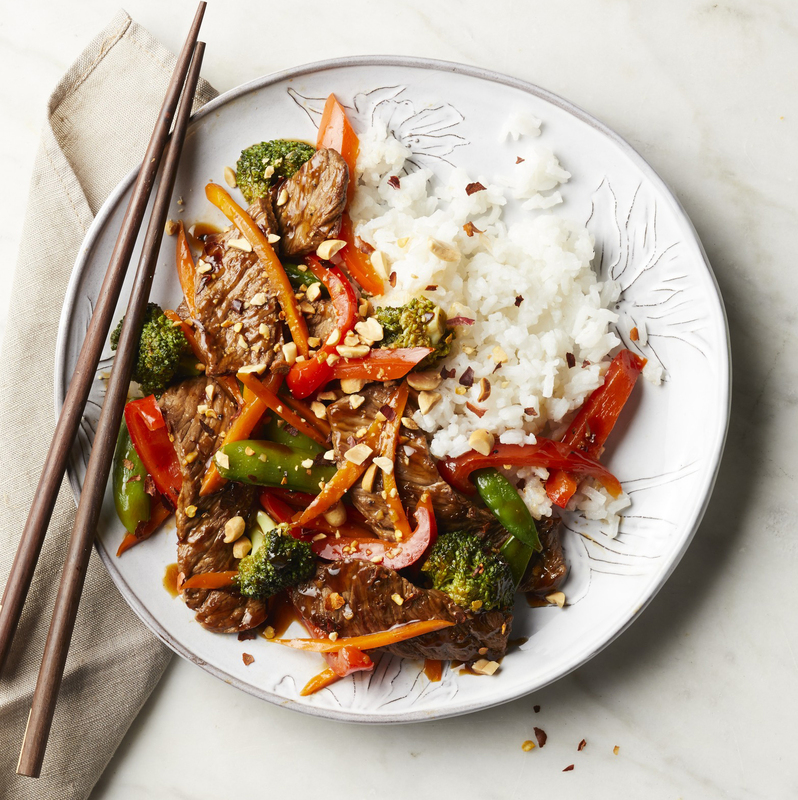 This was an easy delicious and healthy dinner. As some others did I used low sodium soy sauce and that seemed about right for saltiness. I wanted to stay true to the original recipe but I did reduce the sugar to 1/4 cup (watching sugar carbs) and also added 1/4 teaspoon of red pepper flakes to give it a little zing. 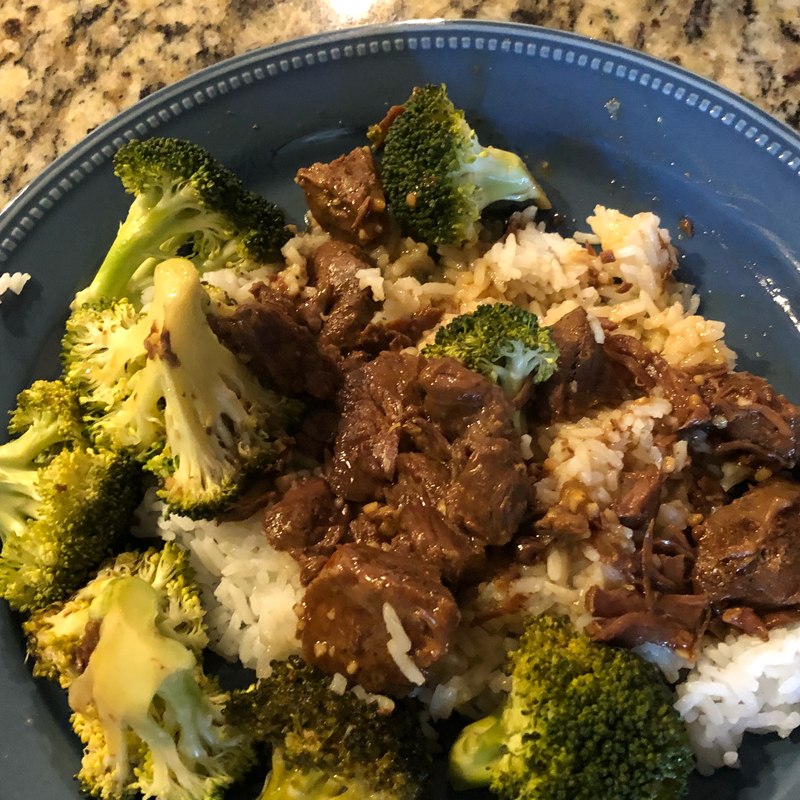 Rather than steam the broccoli I just added it right after adding the cornstarch slurry and it was perfect after 30 minutes! 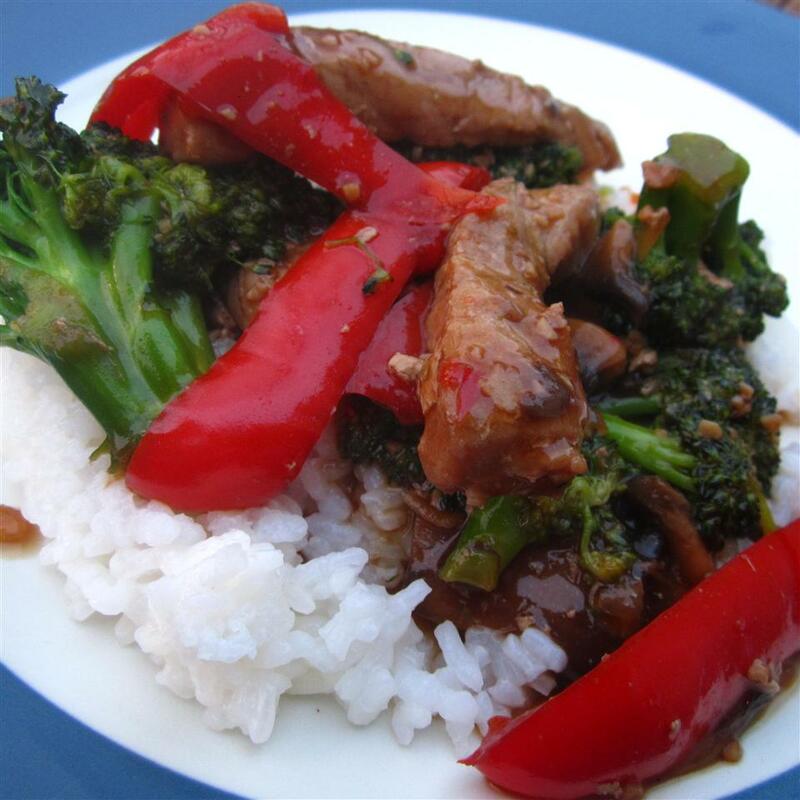 I&apos;ll definitely make this again - next time I may add sliced onion near the beginning of the cooking and red pepper strips with the broccoli. Ok so I followed this exactly and my husband and I did not like this at all. I mean like really didn&apos;t like it. Too salty and just a bad overall taste. Cornstarch did not thicken mine at all even after being on high for 30 minutes. Some of you were obviously able to get a tasty result but I was not. 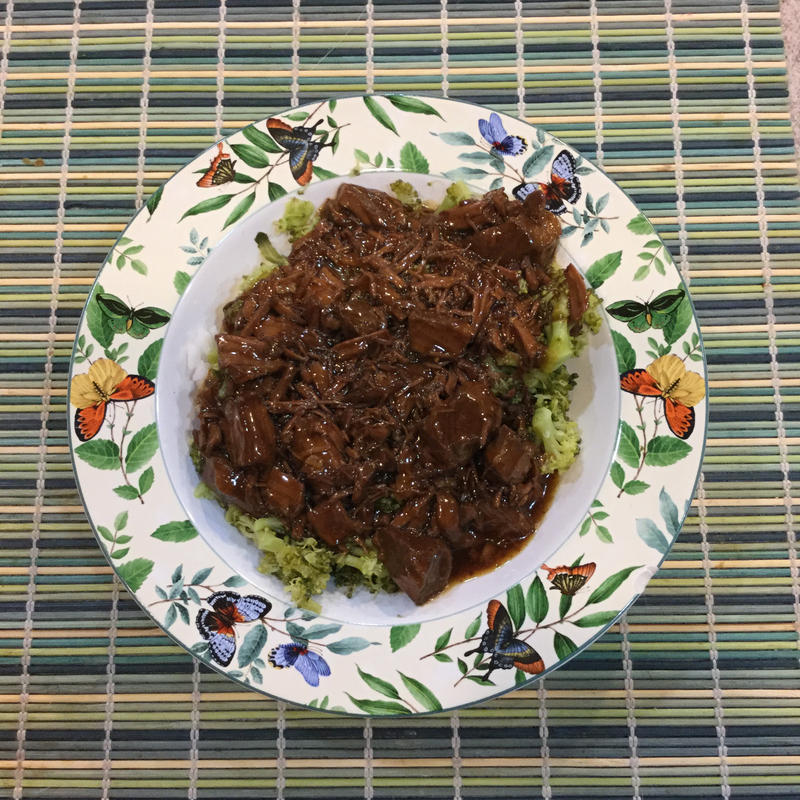 I think slow cooker meals should be done in the slow cooker! So forget all the steps! Toss all ingredients into the slow cooker. Give it a stir and then cook it on low for the suggested time. It&apos;s so good and you don&apos;t have to do all the individual steps. Add the cornstarch at the end and stir. Serve over rice. Better than take-out!! 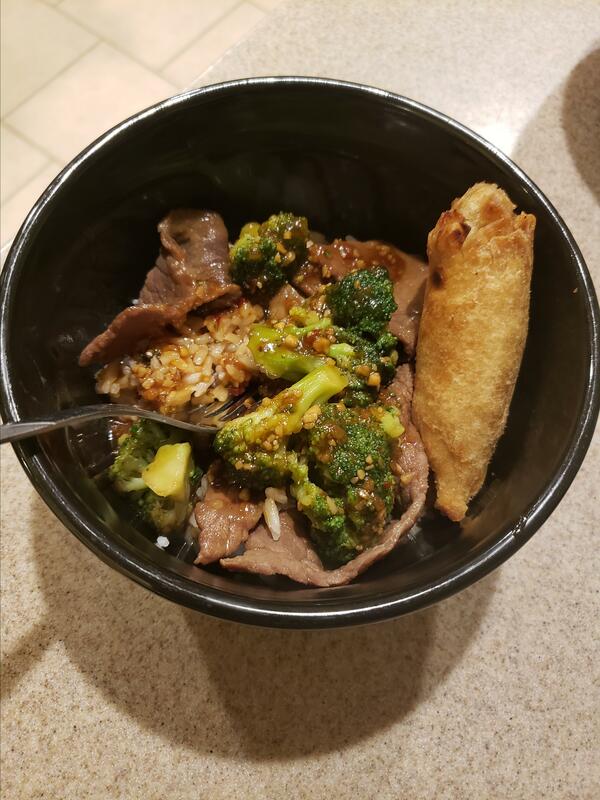 My whole family enjoyed this even the one who says he doesn&apos;t like Chinese food. He ate the most of all of us! 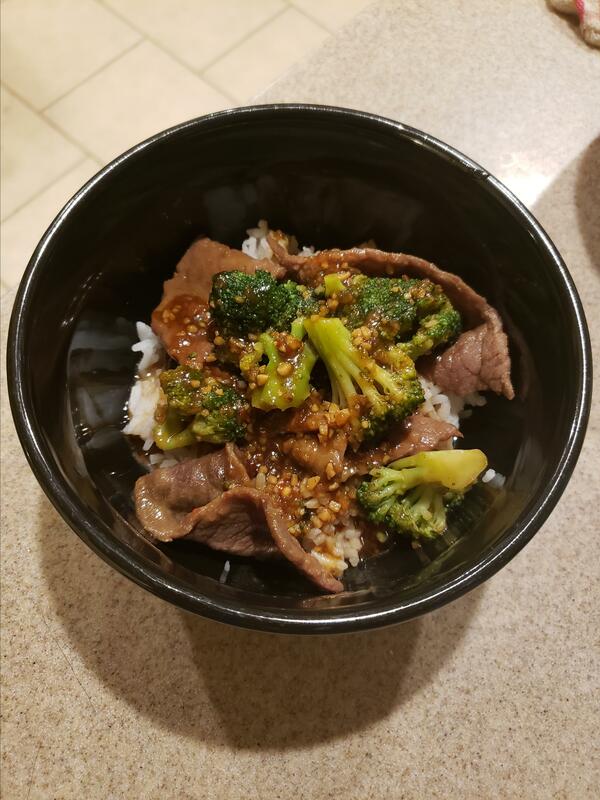 I used Better than Boullion light soy sauce garlic powder and a flank steak because that&apos;s what I had on hand and it still turned out delicious and we didn&apos;t think too salty. I also threw in a sliced sweet onion like another reviewer suggested. 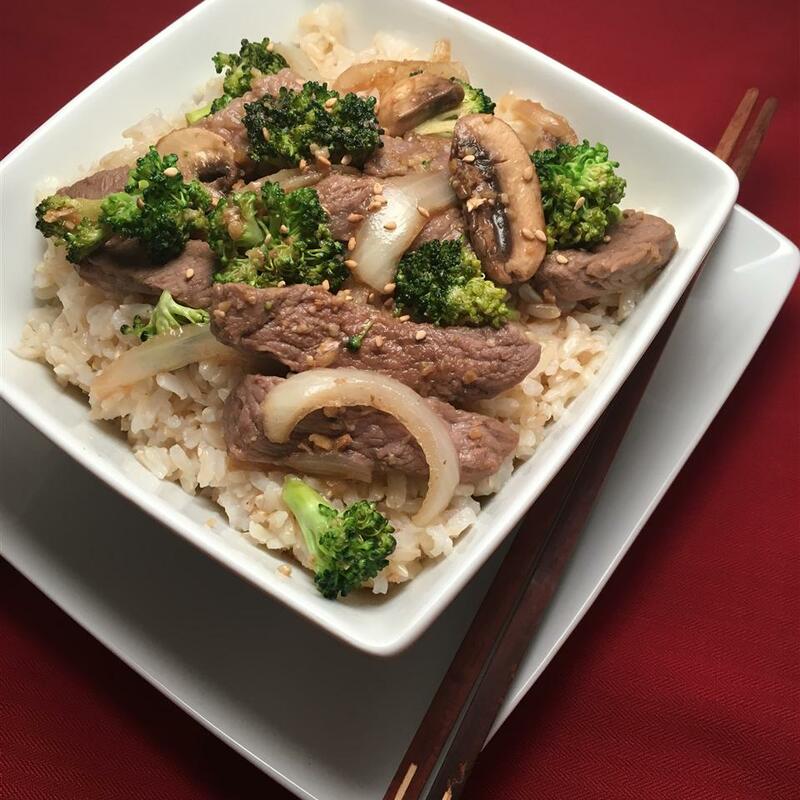 Great easy recipe with very minimal prep that I will be making again. 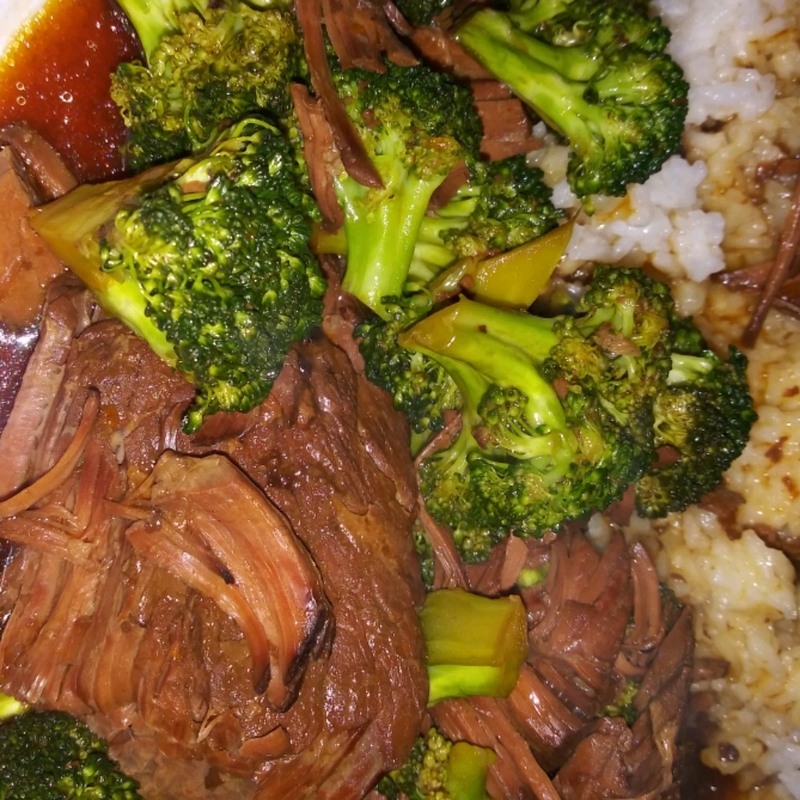 The sauce is thinner and less sticky than restaraunt style broccoli beef but no complaints here anyway. This was very good. My family liked it. 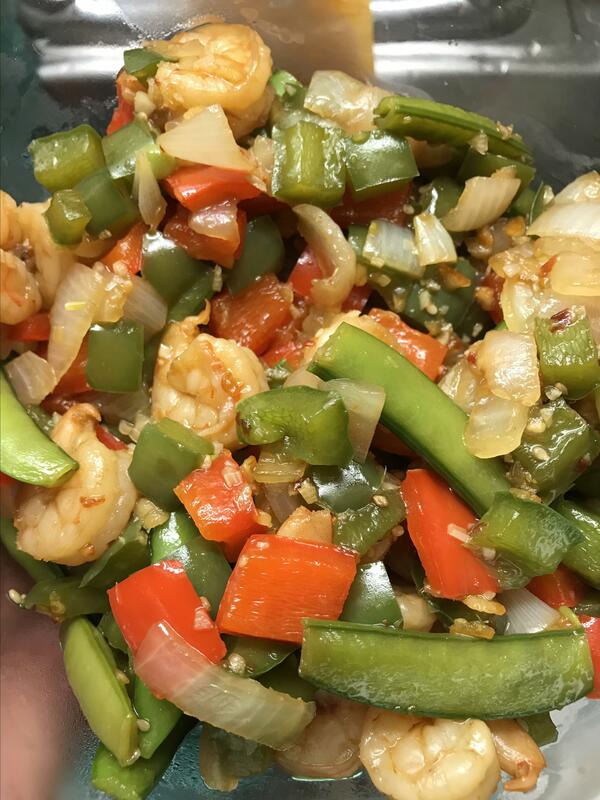 The only change I made is to substitute oyster sauce for half of the soy sauce. 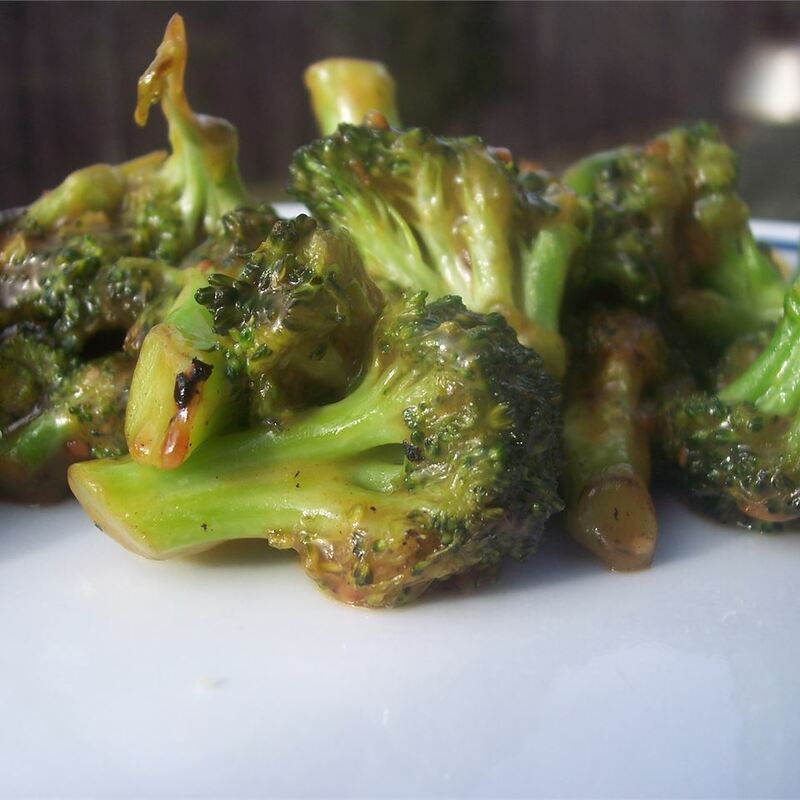 I also used 2 sixteen ounce bags of frozen broccoli florets instead of fresh broccoli. 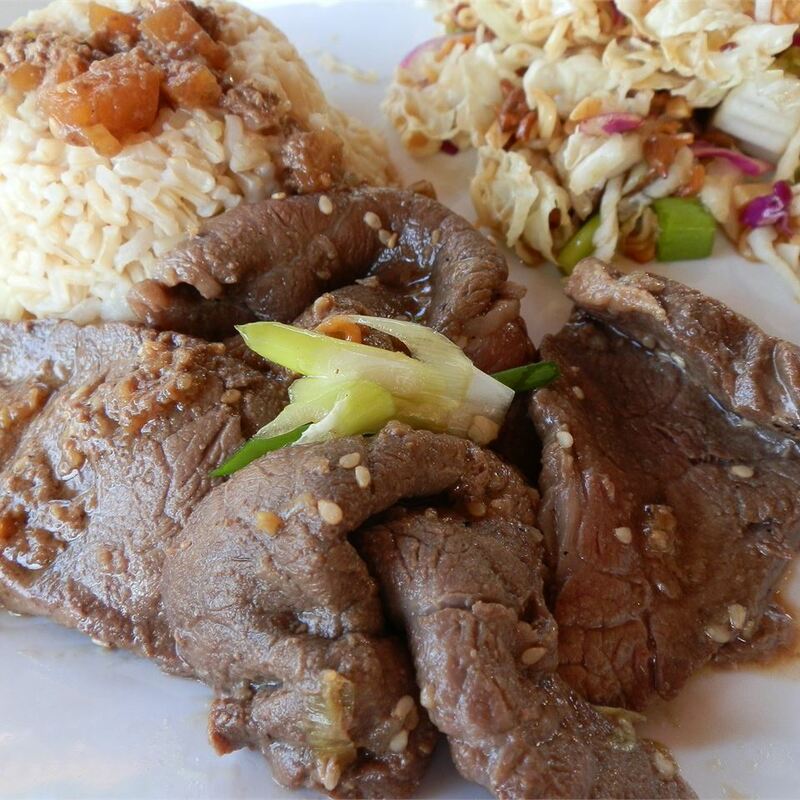 I found that after cooking 6 hours on LOW the thinly sliced beef I used had fallen apart mostly. But that was ok. 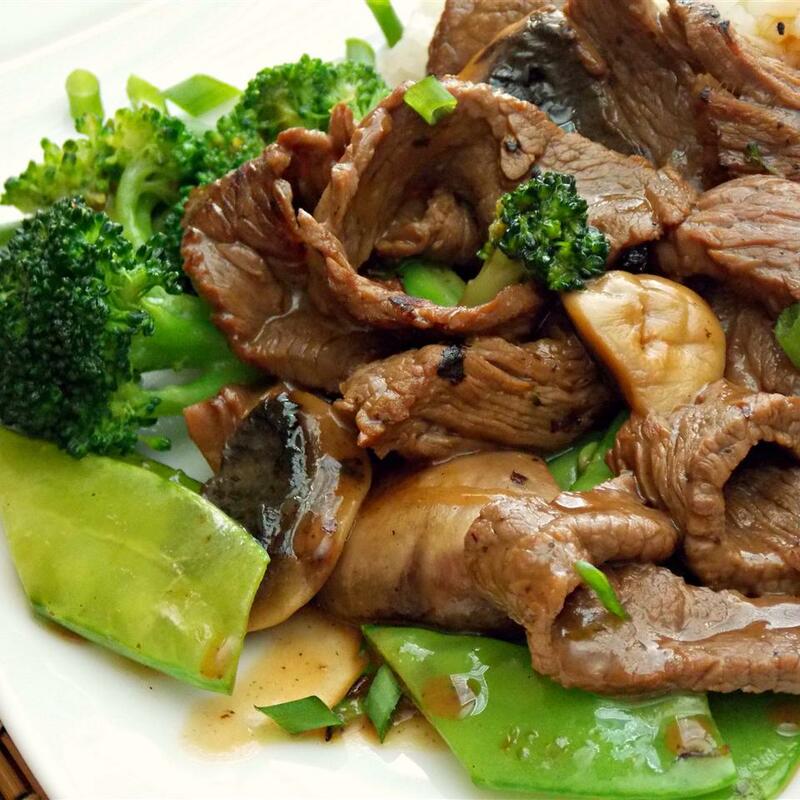 If you want your beef to hold together more in slices it&apos;s probably best to only cook for 4-5 hours or use thick chunks of beef instead of slicing it thin like you would for a regular stir fry. The sauce never thickened for me but I didn&apos;t bother cooking it down in a sauce pan. There was plenty of juciness for the quinoa I served this with to soak up!! I will make this again. Leftovers are great! I followed the ingredients and directions EXACTLY except I used lower sodium soy sauce because that&apos;s all I ever use. This was still very salty. I think I would leave out the bouillion next time or use low sodium beef broth instead. Other than that there are no adjustments needed. I will make this again. 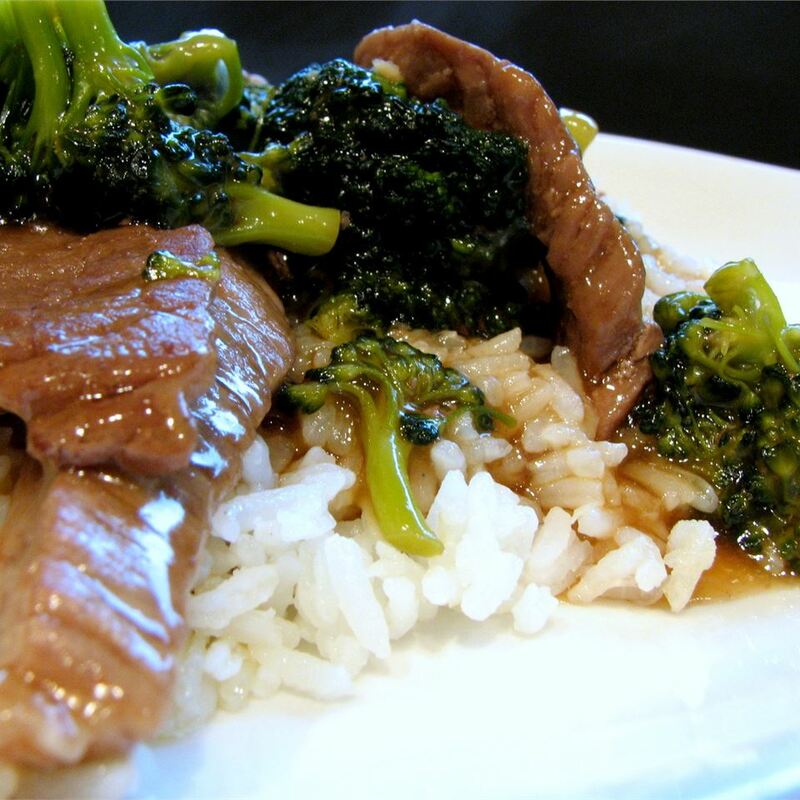 Cooked on high 4 hours and then added cornstarch mixture and small broccoli florets for another 30 minutes. 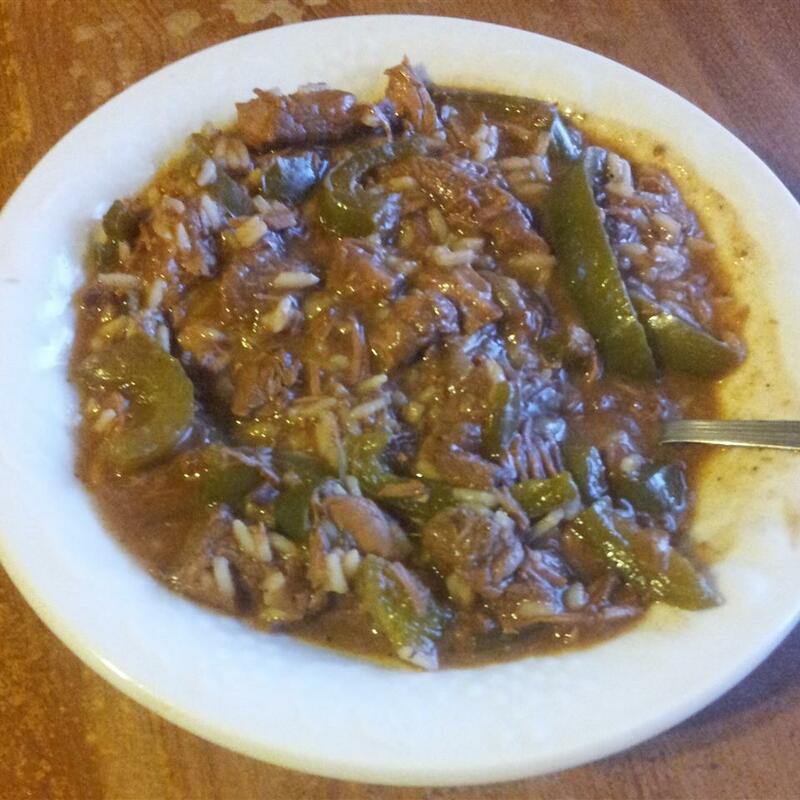 Beef stew meat was excellent! Next time I will wait until 15 before finish to add the small broccoli florets though as they didn&apos;t have much crunch left. 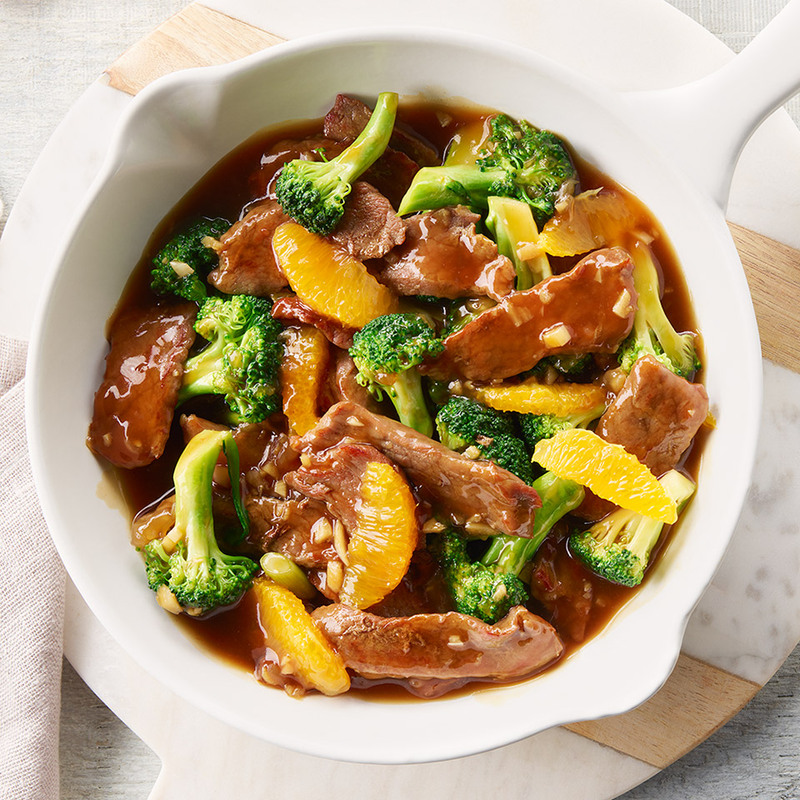 Such an easy prep-ahead or freezer meal. 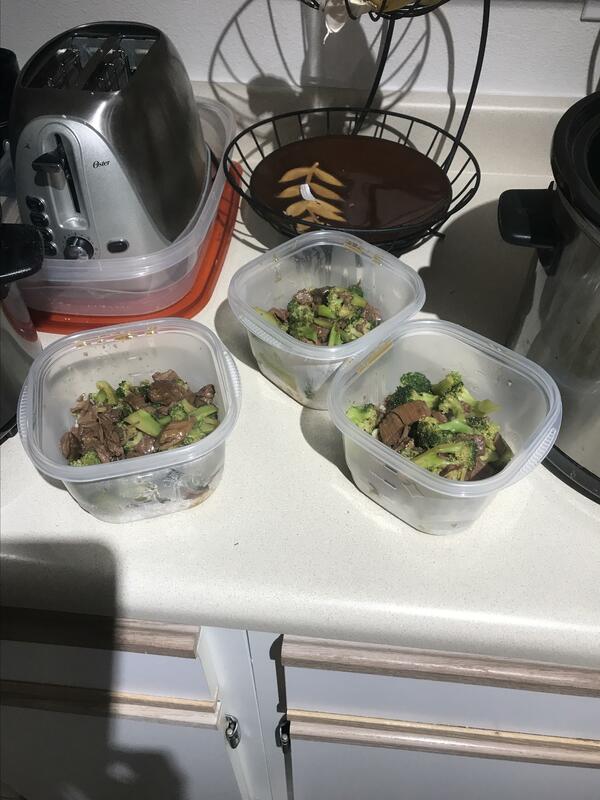 Throw all ingredients except the water corn starch broccoli and rice into a freezer bag and freeze until you need an easy meal. 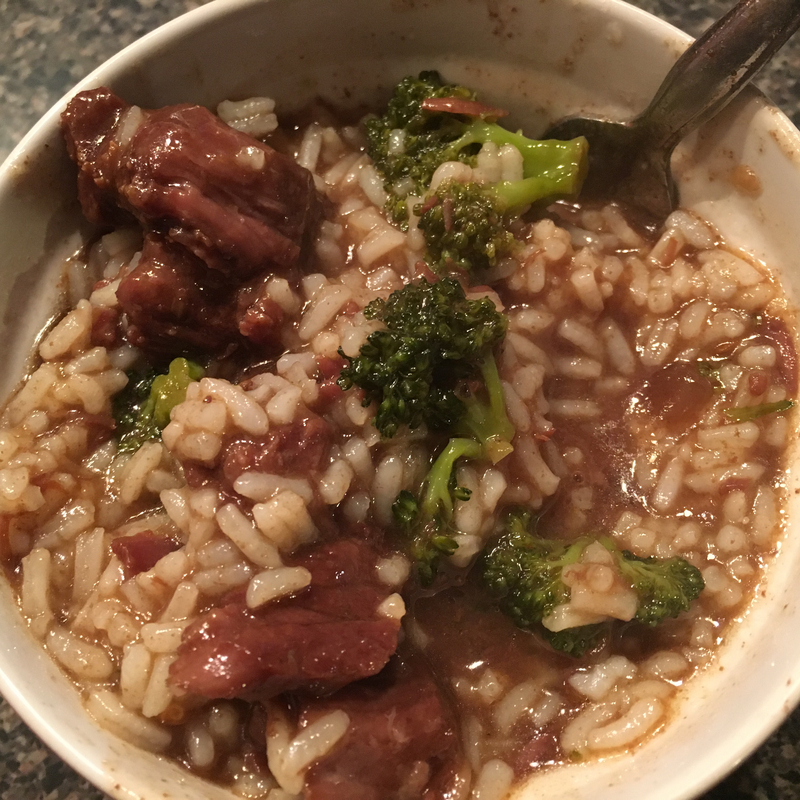 When ready to use put in slow cooker with the water and follow your recipe from there! A new favorite at our house! 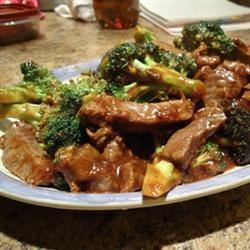 This can easily be turned into a gluten-free meal by using gluten-free soy sauce! 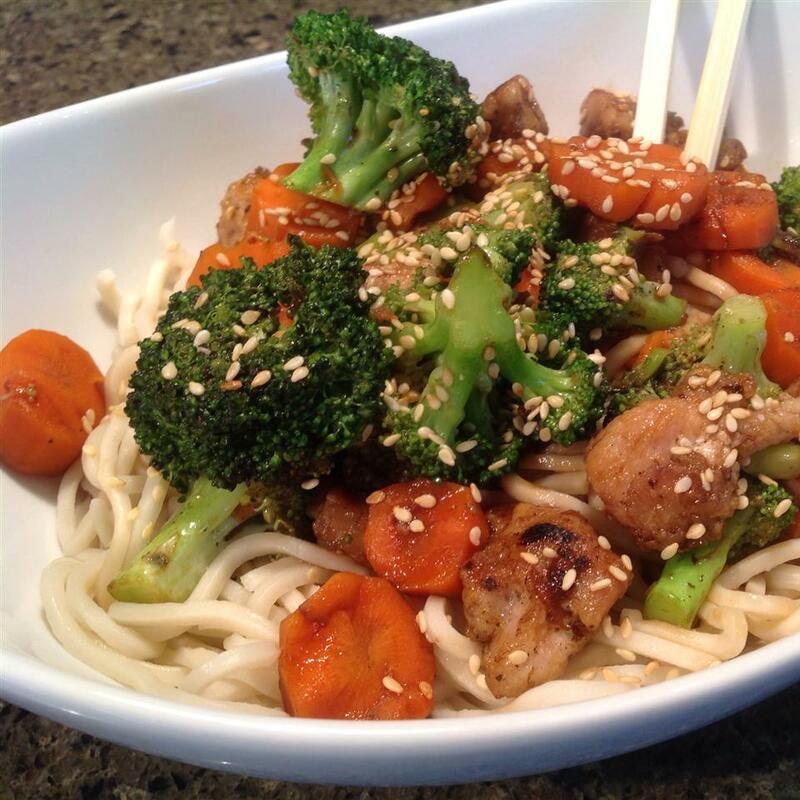 I was looking for an easy yet healthful dinner--this was it! The whole family enjoyed it. 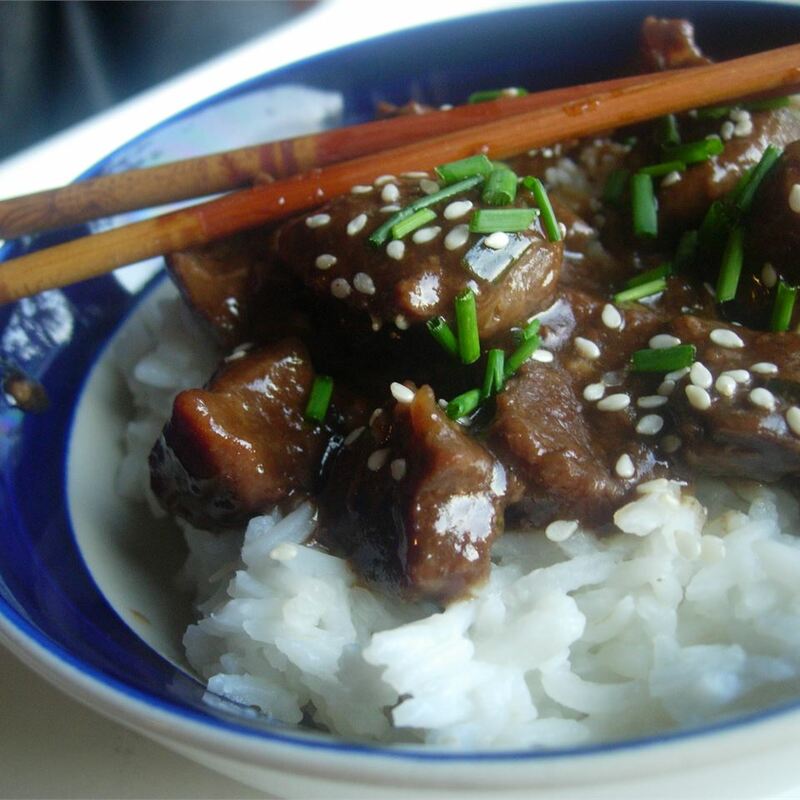 I did use beef stew meat--which made it even easier. Fantastic! I made 1.5 times the sauce the second time around because the first time I made it it cooked down and wasn&apos;t quite as sloppy as I like. 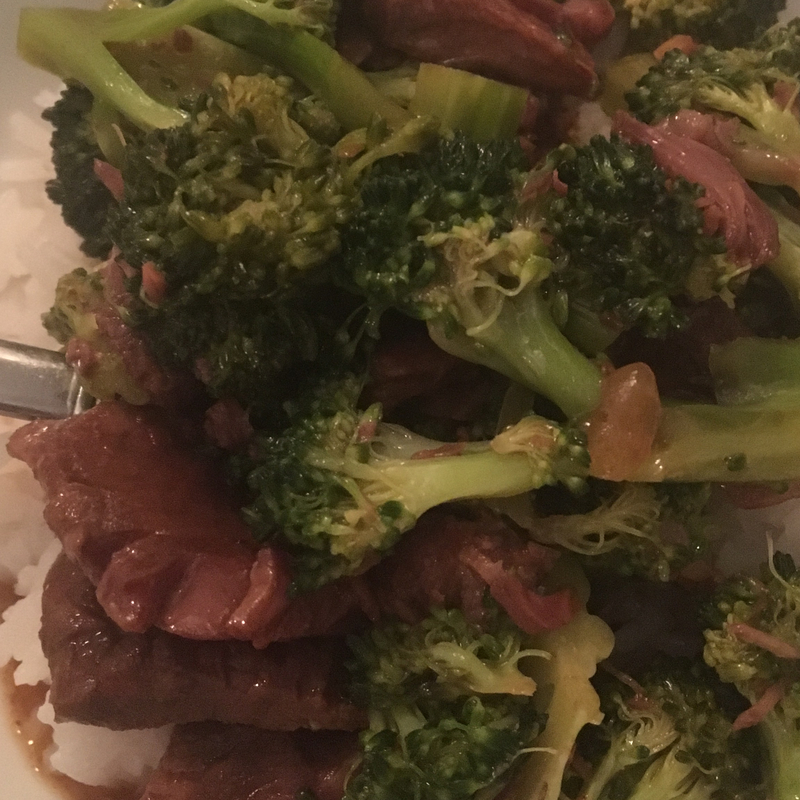 I also used lite soy sauce - had it didn&apos;t know why never thought I&apos;d use it so this was a good excuse. 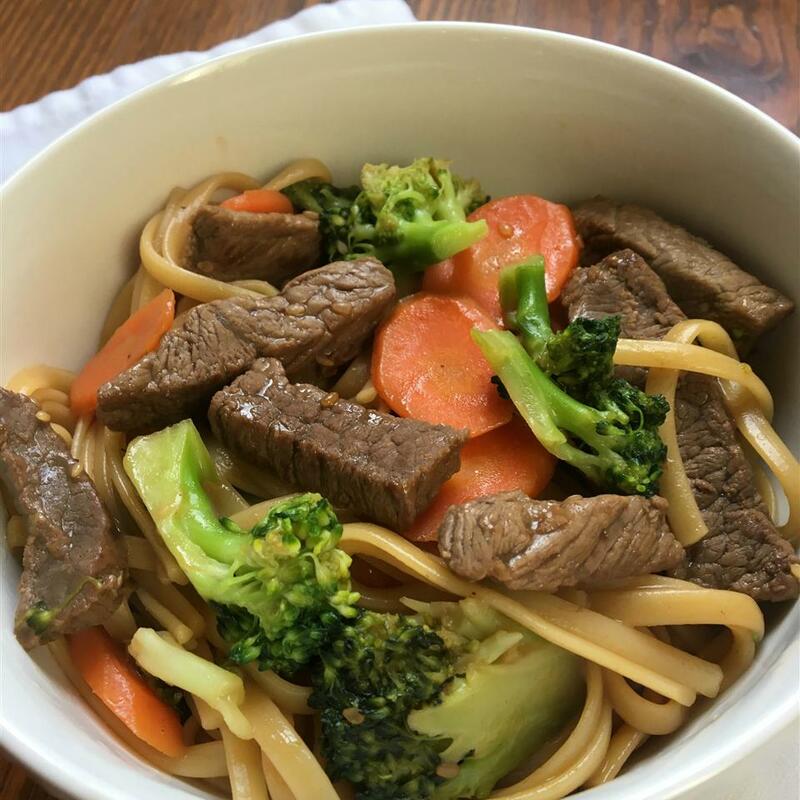 The second time around my husband bought stir-fry meat so it was in very thin strips. 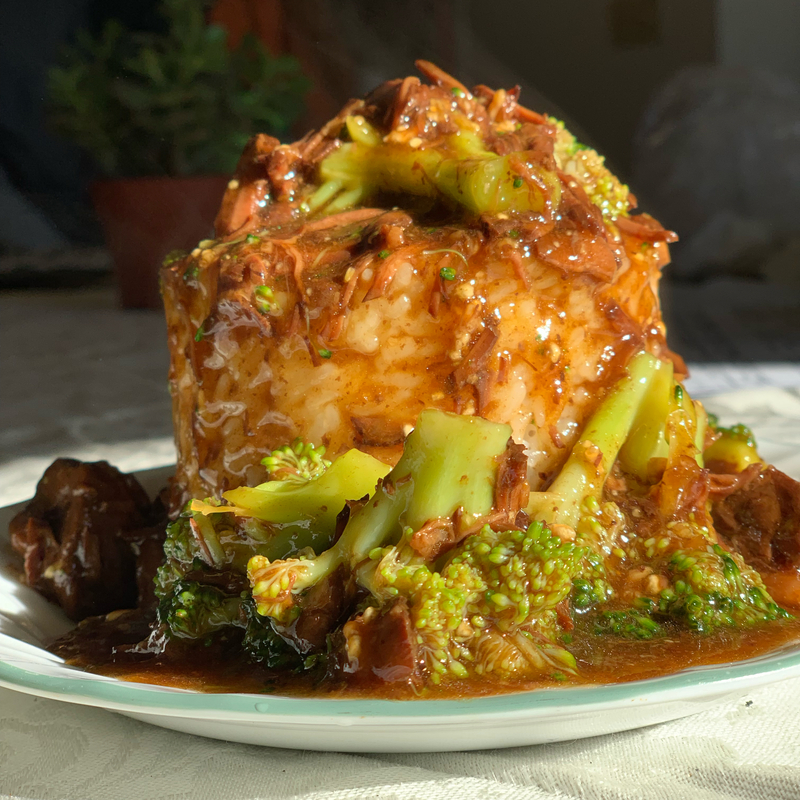 This cut out about an hour from the high cooking time which was nice because I always think to use the slow cooker at like 3 p.m. Great recipe - can&apos;t wait to make it for company! Thanks!